Four cards are better than two. At least that was the mentality exhibited last Friday by WSOP.com, which hosted its first ever Pot-Limit Omaha Online Bracelet (WSOP Event #47) event. The $565 buy-in tournament drew an impressive 1,223 entries, which combined to create a $635,960 prize pool. Matthew “mendey” Mendez grabbed the top spot, taking home $135,077.90 for a first place effort. Unfortunately, that win came at 9:31 a.m. on the east coast, suggesting that the brain trust over at WSOP.com made a pretty serious faux pas when it came to the scheduling of the event. As expected, the Event #47 wasn’t nearly as big a draw as its No-Limit Hold’em counterpart. 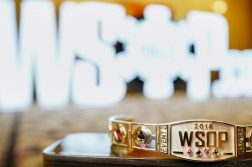 On June 3, WSOP Event #10 – $365 Online NLHE attracted a staggering 2,123 runners and 849 re-entries, making for a prize pool that came alarmingly close to cracking $1 million ($974,816). Event #47 attracted less than one-third the number of players, with 657 runners plunking down the initial buy-in. However, the pot was inflated substantially by 566 re-entries. Omaha tends to be a more volatile game than Hold’em, with equities running closer together and big pot play the norm. Combine this with the long registration period of 3 hours 45 minutes, not to mention the fact that it was a 6-Max MTT, and it really doesn’t shock that there were so many re-entries. Friday’s event was the only Online Bracelet tournament scheduled this summer not to feature a guarantee, which may have deterred players from signing up. It’s not entirely clear why WSOP.com decided to go this route, but our guess is that the operator was fearful of losing money on the experimental event. Before we offer our criticisms of the event, there are a few positives worth noting. First off, the structure of the event was solid, allowing for a decent amount of deep stack play. The starting stack was 150 big blinds, with blinds escalating slowly, every 20 minutes. One could make an argument that the event was too slow (more on that later), but for a $565 buy-in, we’re sure most would prefer a marathon over a sprint. Also of note, it appears that the issue preventing some international players from registering has been resolved, or at the very least, the situation has improved. The PLO event drew roughly 60 players hailing from other countries, equating to about 9% of the field. By contrast, less than 1% of the Event #10 field held residence outside the United States. As was the case with Event #10, Event #47 players wishing to re-enter would have had to fund the extra bullets prior to the tournament’s start. Not only that, but the re-entry window was an ungenerous 30 seconds. Secondly, deal making is still not an option on WSOP.com. Okay, WSOP doesn’t facilitate deals for its live bracelet events either, so we understand why deal making is disabled for Online Bracelet events, but what about the site’s other big events, many of which offer minimum $50,000 guarantees or higher? These issues are relatively small potatoes compared to the ill-conceived starting time of this year’s Online Bracelet events: 3:30 p.m. in the west, 6:30 p.m. in the east. The event didn’t reach its conclusion until way after the birds started singing and the many malls in New Jersey opened for business on Saturday morning. 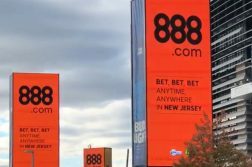 This is the second time this summer an Online Bracelet event ended at an unreasonable time in the east, with Event #10 reaching its conclusion at nearly 7 a.m. These end times place New Jersey players at an inherent disadvantage, as it’s nearly impossible for anyone firing up the tournament not to get impacted by fatigue by 6 a.m., let alone 9 a.m.
Start the event at around noon in the west, 3 p.m. in the east. Start the event slightly earlier, and clip the blind levels from 20 minutes to 15 minutes. Make the tournaments two-day events. Of these three options, we’re inclined to think that pausing the event after about 10 hours of play and having players return the next day is the way to go, primarily because it’s unreasonable to ask final tablists to grind it out for 15 consecutive hours, with the longest break being only 5 minutes. Going further, shortening the blind levels would devalue the tournament. Online bracelet events should have deep structures that grant skilled players a better opportunity to take home gold. Players planning to grind out these events, especially those from New Jersey, are strongly advised to alter their sleeping habits prior to the events, as they feature the same 20-minute levels and even deeper structures than Event #47. Maybe WSOP.com is running a field test to see how long players can grind before succumbing to exhaustion. 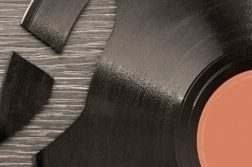 In any case, the hope is that the operator will learn from its first year in a shared liquidity climate, and make the necessary changes in 2019 to provide a fairer and more welcoming atmosphere for those holding out hope for winning a bracelet from behind a computer screen.